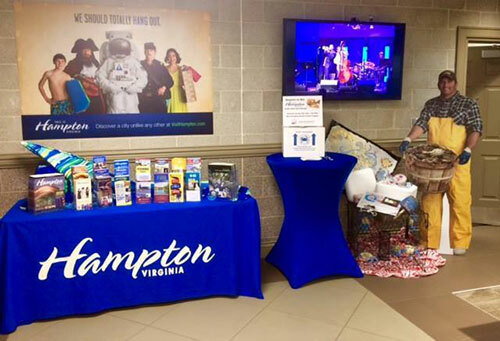 The PMAP (Partnership Marketing and Advertising Program) program was established by Virginia Tourism Corporation in 2015 to create a variety of advertising opportunities at Virginia Welcome Centers and Safety Rest Areas throughout the commonwealth. Beginning in 2018 the PMAP program will transition from HI Media back to VTC. The program transfer will officially begin Jan. 1, 2018, with some aspects beginning sooner. VTC is working closely with HI Media to make this transition seamless for our partners. VTC will continue to offer existing services such as a central warehouse, brochure space at the Welcome Centers and Safety Rest areas, Tourism Blitzes, Ad Panels and Custom Displays. 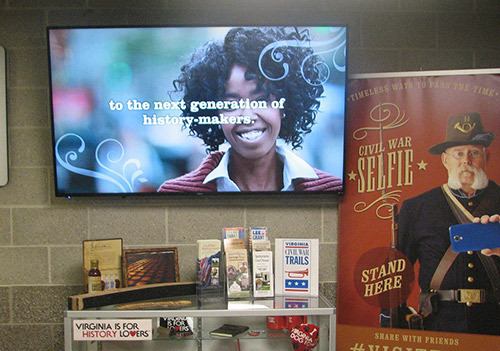 More than 35 million people visit our Virginia Welcome Centers and Safety Rest Areas each year giving you the opportunity to make an impression through your advertising to a vast number of visitors. Below you will see the tools available for you to use to promote your destination to this wealth of visitors to Virginia. Publication/Brochure Program– reserve a brochure space for your publication at a VA Welcome Center or VA Safety Rest Area corridor. Both single and double pocket brochure sizes are available to accommodate your brochure or publication. Your investment in the program depends on the size of your brochure, the number of locations and the length of distribution time. Tourism Blitz– showcase your destination and be the primary advertiser for an entire month by setting up a custom display, having demo days, brochure counter exposure, banner and even a digital spotlight at a VA Welcome Center. These are just a few of the options your organization can use during its month-long blitz. Display Ads–ad panels are available at designated Welcome Centers. Various sizes and prices are available. Remember that pictures can speak a thousand words! Digital Spotlight– economical and effective. Send us images of your destination that we can use to design a digital slide show/video. This promotional video gets great exposure by being located on the front service counter or primary location at a VA Welcome Center. Spotlights can be reserved for three-month increments. Enhanced Digital Spotlight– available at our newest Virginia Welcome Center, Northern Virginia Gateway, and at the recently re-furbished Virginia Welcome Center at Skippers, the enhanced digital spotlight will put your destination on the big screen. Large 65in screens will give your spotlight 24- hour exposure while guests are visiting the welcome center and the SRA. Custom Opportunities– customized glass display cases and unique display spaces are available at designated Welcome Centers.